You can learn as many words as you want in a foreign language on Duolingo, but oftentimes the phrases that they put together don’t make any sense or would never be used in actual conversation (unless you somehow find yourself saying “The cat is blue” in German, which I guess could happen). Context, in language, is key. Clozemaster believes context is also the key to effective language instruction, or at least a useful tool to offset all your language learning efforts. The site employs an approach that uses what the company describes as “mass exposure to vocabulary in context.” The UI isn’t as pretty as Duolingo or other competitors, but it’s still usable. It can take a while to get used to the visual aesthetic, but it’s also a nice change of pace from other copycat language sites. 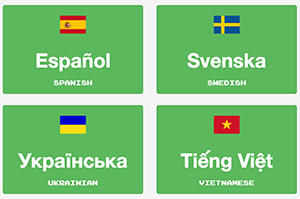 There are numerous languages on Clozemaster, including lesser-spoken languages that are omitted on larger platforms. Belarusian can be learned on Clozemaster, alongside Galician, Irish, or Korean. The site, which also exists as an app on both the Google Play Store and the Apple App Store, presents a sentence in the target language along with a blank space. It then presents four options, as well as an English-language translation of the target sentence. Your goal is to fill in the blank. Everyone’s learning style is different, but this approach certainly provides an interesting new way to learn vocabulary words. 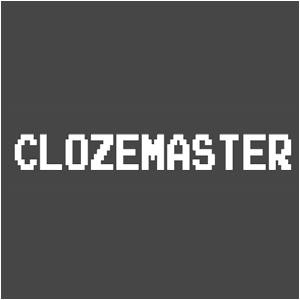 Clozemaster might not be your lone language learning tool, but it’s certainly a good option to keep in your larger toolbox.